6 sugar stocks jump over 20% in two months. Are they a good bet? Asia’s worst-performing currency took five weeks to become its best. The turnaround has been fueled by the improved chances of Prime Minister Narendra Modi winning a second term amid recent tensions between India and Pakistan. The optimism has led to local shares and debt luring robust flows, which have turned the carry-trade returns on the rupee to the highest in the world in the past month. “The high-yielding rupee will likely advance further if Modi wins a second term,” said Gao Qi, a currency strategist at Scotiabank in Singapore, who expects the currency to rally to 67 per dollar by June-end. A dovish tilt by major central banks in the face of a faltering global expansion could also prompt foreigners to chase higher yields in emerging Asia, he said. Foreigners bought a net $3.3 billion of shares through March 18, accounting for more than half the $5.6 billion of inflows year-to-date, and raised holdings of bonds by $1.4 billion this month. The gush of dollars sent the rupee to its highest level since August, prompting profit-booking that saw the currency posting its first drop in seven sessions on Tuesday. Borrowing in dollars to purchase rupee assets has earned 3.8 percent over the past one month, the best carry-trade return in the world, data compiled by Bloomberg show. Two opinion polls showed Modi’s ruling coalition may get close to the 272 seats needed for majority in elections that begin on April 11. Results are due on May 23. 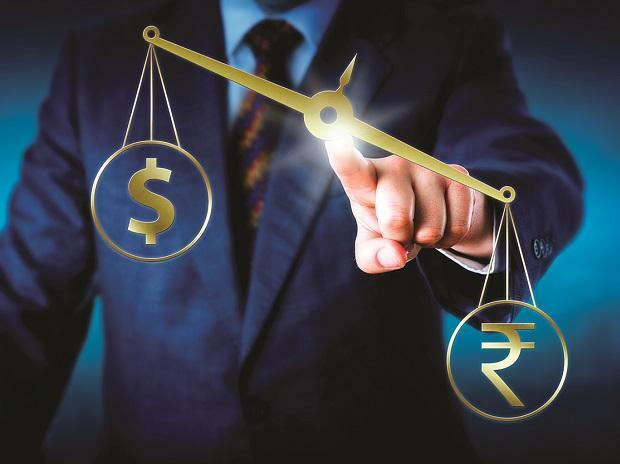 The rupee optimism is also reflected in the derivatives market, where one-month options conferring the right to sell the rupee now cost 19 basis points more than those to buy. That’s down from 148 on Sept. 5, which was the highest since November 2016. “Global conditions -- dovish Fed and ECB -- have turned more supportive and domestically, increased confidence in the BJP’s prospects and a recovery in portfolio flows have been the key driver” for the rupee, said Dushyant Padmanabhan, a currency strategist at Nomura Holdings Inc. in Singapore. The rupee’s three-month implied volatility, a gauge of expected swings used to price options, fell to 5.87 percent on Friday, the lowest reading since August.